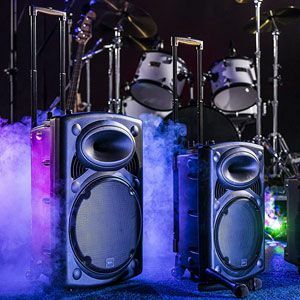 The Pros and Cons of this QTX QR15PA Rechargeable PA System. 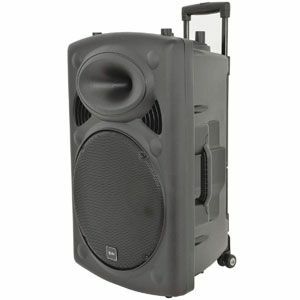 There are some great benefits to this QTX QR15PA Portable PA System for musicians and public speakers on the move. Portability is one of the most important aspects to this product. 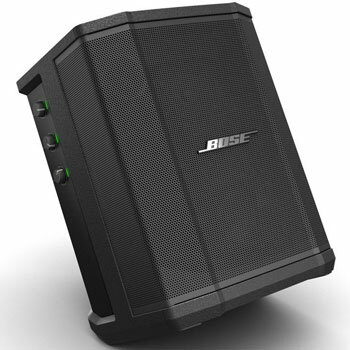 This may be a large, 15’’ speaker system, but users can transport this around with relative ease. Instead of including a pretty basic built-in handle, the designers have added a built-in trolley system. This feature has a telescoping, suitcase-style handle and transport wheels. There is also the fact that this portable model is wireless. This means that users can set it up pretty much anywhere they like and get a decent sound. There are street musicians that use this with no problem at all. The battery life is 8 hours, which is more than enough for most users. Others have spoken about the sound quality achieved with this system. There is nothing especially powerful or interesting in this basic PA sound system. But, there is enough room for customisation with the bass and EQ. There are also positive comments about the volume. It can handle small spaces at the medium volume level, so there is no distortion or loss of clarity. There are limitations to this QTX Portable Speaker System based on the lower price. This is a budget model and, as such, has a budget feel to it at times. There aren’t many features or inputs to make a gig more diverse. Some wish that there was a Bluetooth connection, but aren’t surprised that it is missing. The wheels are adequate, but not the strongest around. The microphones have a surprisingly good range for cheap, wireless microphones. But, they aren’t heavy-duty models made to last. Most of the criticisms for this system are minor and fit into this category of “if only it had…”. Otherwise, most users are impressed. Does this mean that this QTX QR15PA is easily recommended to new users? The range of positive reviews for this product and the lack of negative ones , means that this portable PA system is recommendable. The biggest downsides are related to the cost of the machine and the minimal specification. There is nothing wrong here that buyers shouldn’t have expected. In fact, many say that the quality and experience are better than expected. 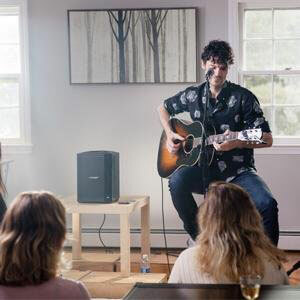 This sound system is more portable than some might think, there are some great additional features and the sound quality is ideal for small-scale applications. 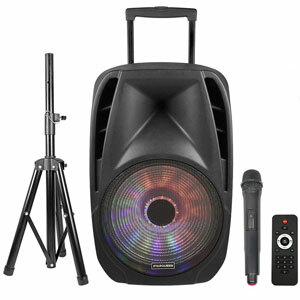 Therefore, this QTX PA system could be a great fit for many public speakers and musicians. 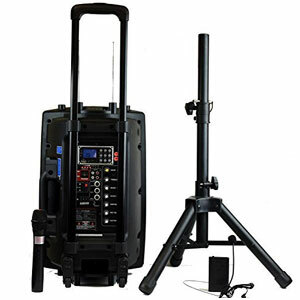 Find more reviews about the QTX QR15PA Portable PA System on Amazon here.